​Roof valleys are one of the most ignored components of a roof and yet are critical for preventing leaks and roof damage. Many roofs feature two sloped sections that intersect to form what’s called a roof valley. The function of this valley is to allow runoff water to drain off the roof of the home, thereby preventing accumulation of liquids, roof deterioration, and potential leaks. In this article, we discuss 7 ways to deal with your faulty roof valley in order to prevent these potentially negative consequences from occurring. The first step in dealing with your faulty roof valley is to perform a proper assessment of the situation. What problem are you trying to fix? If the house is leaking, make sure this is not due to some other component of the roof rather than a faulty roof valley. Also, many times, the location of the leak on the inside of the house is different from the location of the leak on the outside. Sometimes, too, old repairs result in leaks, which would mean that simply repairing the roof valley will not be sufficient. Other times, the roof is simply too old and needs to be replaced. This would entail a much larger job that you likely cannot do alone. If you have determined that the roof valley is the problem, then find out the extent of the solution. This might entail installing a sheet-metal flashing, which requires removing the surrounding shingles. For more budget-minded folks, this could mean a more temporary fix using heavy base paper. Other times, an entire re-roofing job is necessary. Regardless, you need to decide if you are going to do this yourself or hire a professional contractor. While the latter is expensive, costing about several hundred dollars, their expertise will also help prevent future problems. Plus, you avoid having to climb on top of your roof, which, needless to say, can be dangerous. Trees draping over the roof might be causing leaves, branches, or dirt to fall on the roof valley, resulting in withering and rust over time. One way of dealing with your faulty roof valley is to recognize these factors and take the necessary actions. This might mean trimming the trees. You might also have to install additional materials that will better withstand the falling debris. Or, perhaps the roof valley is damned by a bird’s nest. If this is the case, you may need to invent a solution to attract birds away from your roof. 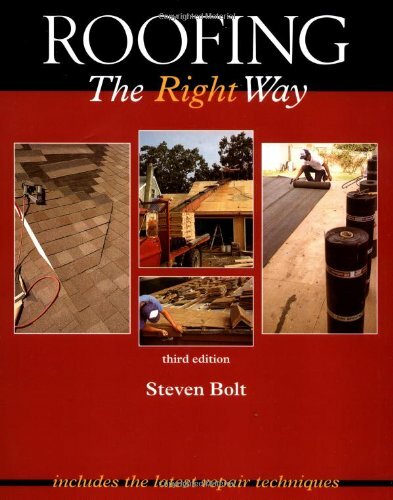 If you decide to deal with your faulty roof valley on your own terms, make sure you are well prepared. It’s better to be overly prepared than under-prepared, so before you begin, make a list of all the items you need, and bring that list to your local hardware store. They might not have everything you need on site, but they can certainly point you in the right direction. You will need at least a ladder, a screwdriver, a hammer, roofing nails, replacement shingles, flashing, and caulking, as well as the encouragement and guidance of a friend. You don’t want this to be a recurring problem. If you don’t sufficiently nip it in the bud, you will continue to get leaks and lose money. Make sure you don’t take a lazy approach to the solution. If you are unsure of the source of the leak, hire someone to perform an analysis of the roof and someone to repair it. This approach will cost you money but will ensure that you don’t experience any roof valley problems for a while. Where most homeowners fail is that they are attached to the present moment and do not see the future benefit of investing money now. One way of dealing with your faulty roof valley is to accept the sunk cost of the leak, and then disconnect yourself from it. One way to deal with your faulty roof valley is to relax and wait for the storm to pass, both literally and metaphorically. Roof valleys usually begin to leak after a storm or natural disaster, but if you instantly freak out, then you could make things worse. Once a leak has started, it’s best to let the roof sufficiently dry before you explore the problem. Wet roofs, especially featuring malfunctioning materials, are especially dangerous for traversing and could collapse. Stay calm, remove the furniture from the vulnerable rooms, and place a waterproof layer over the carpet or floor. Staying patient at first is smart, but that doesn’t mean you shouldn’t take action. Especially after a storm or during seasons that experience lots of rainfall, roofing experts are very busy and difficult to contact. It can take weeks to get them to your property.